Contrary to popular mythology, it is my firm belief that Black Sabbath’s overarching lyrical theme wasn’t really Satan or whatever ( :: makes devil horns ::), but rather, mental health. Especially the type of mental health issues where the sufferer is continually worried about their sanity. 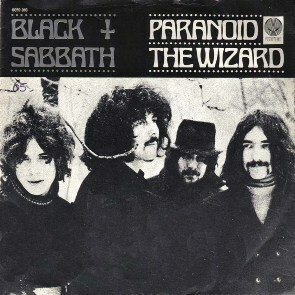 Anchored by a speedy, bass-filled repeating riff, with drummer Bill Ward heavying it up by lagging behind the beat, “Paranoid” is the musical and lyrical link between Led Zeppelin and the Ramones, and – unlike most great Black Sabbath songs – short, simple and to the point.